First and second years at CLS. CANADA – The new school year is well underway at Lutheran Church–Canada’s two seminaries, with both schools welcoming a number of new students. 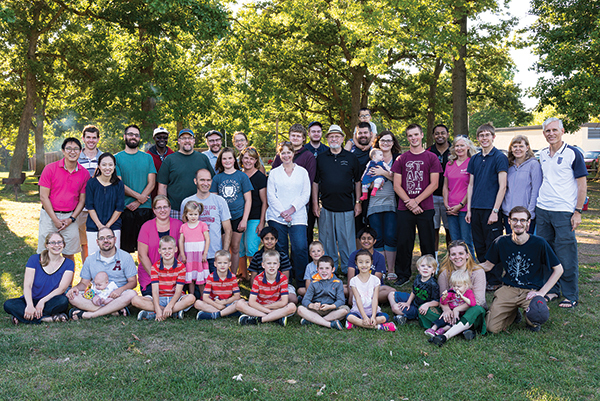 Concordia Lutheran Theological Seminary (CLTS) in St. Catharines, Ontario held its first full day of classes on September 6, while Concordia Lutheran Seminary (CLS) in Edmonton held its first full day of the Fall Semester on September 19. CLTS welcomes eight new students this year: five pastoral, two pastoral colloquy, and one student in the Master of Theological Studies (MTS) program. In total this year, CLTS has fifteen students on campus and four distance education, breaking down as follows: four pre-seminary students, four seminary year one students, one year two student, three year four students, two colloquy, and five MTS students. Faculty, students, and family at CLTS’ opening barbecue. CLS welcomes six new full-time pastoral students this year, joining the existing five returning second year students. 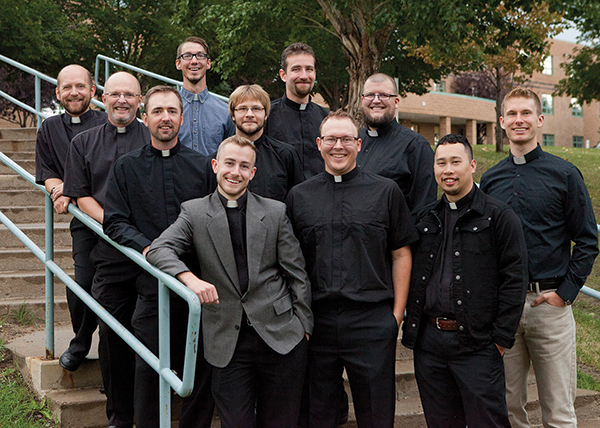 Four vicars are in the field, meaning CLS counts a total of fifteen pastoral students this year. An additional six students are in Open Studies, while another full-time student is expected to begin in January. Concordia Lutheran Theological Seminary held a student/faculty retreat September 1-2 at Mt. Carmel Spiritual Retreat Centre in Niagara Falls. A barbecue followed on Saturday, with the opening service of the seminary held September 11 in CLTS’ Martin Luther Chapel. Concordia Lutheran Seminary held an orientation for new students, along with two short term classes, on September 6-16. CLS’ Board of Regents met for their first meeting of the new school year on September 6-7, while CLTS’ Board of Regents met September 12-13.